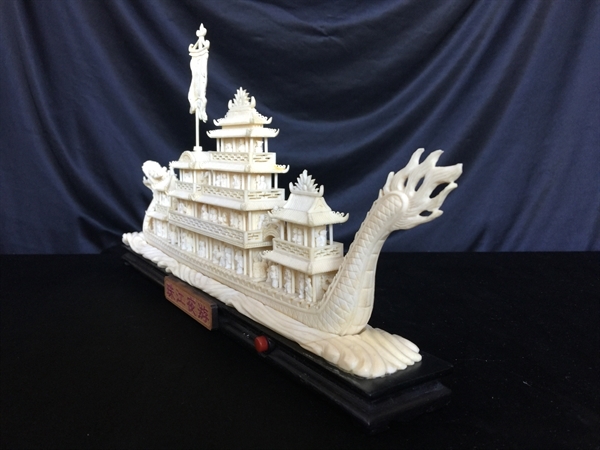 Size: Long 15", Deep 2", High 8"
This beautiful piece of art is made from water buffalo bones. 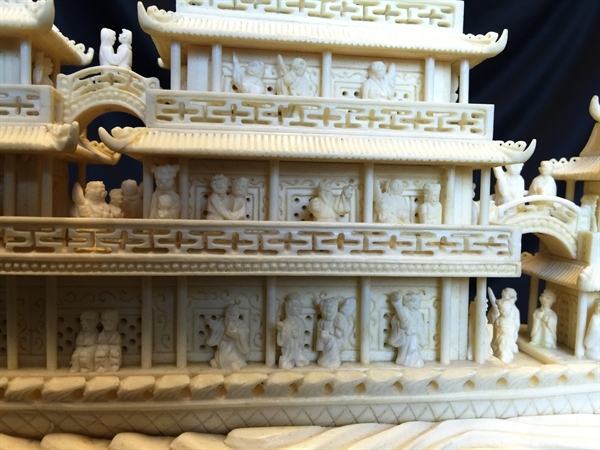 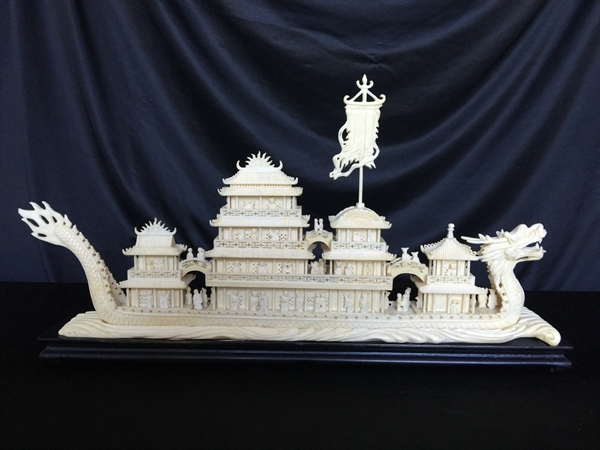 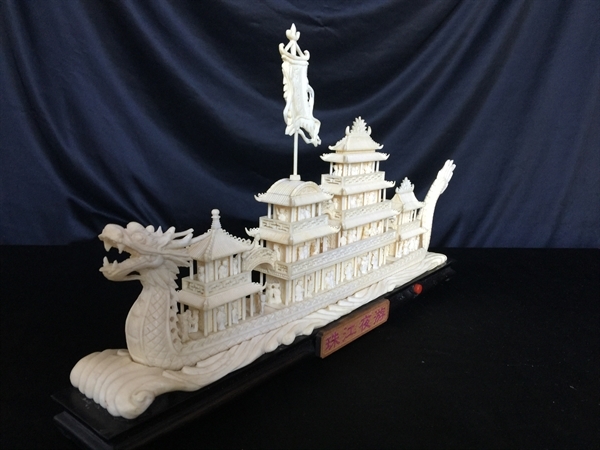 It is a dragon boat and many people are carved on it. 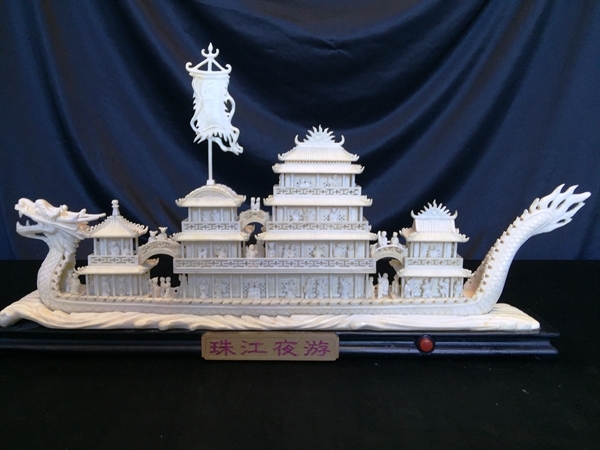 It comes with wooden stand.